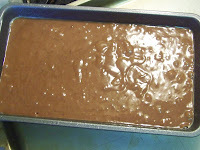 Recommended Good Cook tool: Medium Nonstick Loaf Pan, 8" X 4"
Use an electric mixer to mix all wet ingredients. Then add all dry ingredients and mix gently. 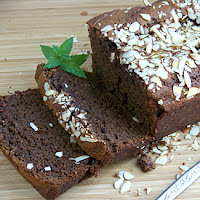 You can add the almonds slices inside the cake or on top like I did here. 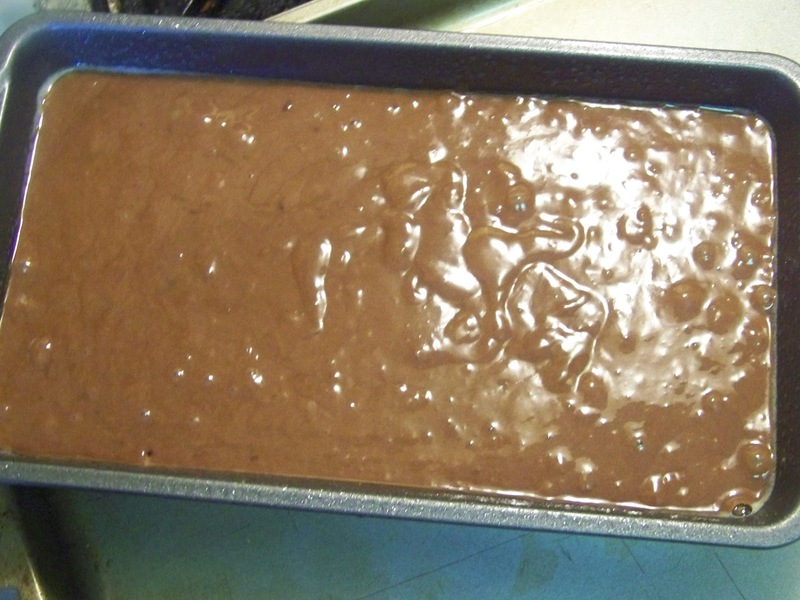 Bake in a sprayed or greased loaf pan at 350 degrees for 60-65 minutes (or until set). Allow to cool and slice. Enjoy. Oh what a coincidence. 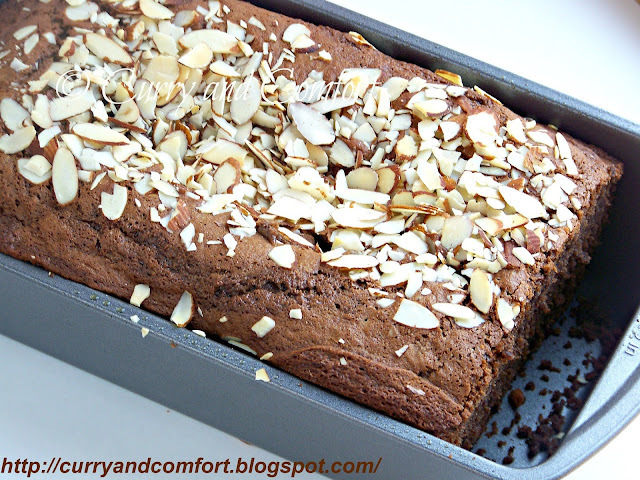 I made banana nutella bread yesterday. It is such a divine combination. Love that you added flaked almonds on top! Looks absolutely divine and mindblowing bread. This looks like the most divine and delicious combo ever! Also my foodbuzz is stuffing up again so I apologise if I am not as regular as usual! 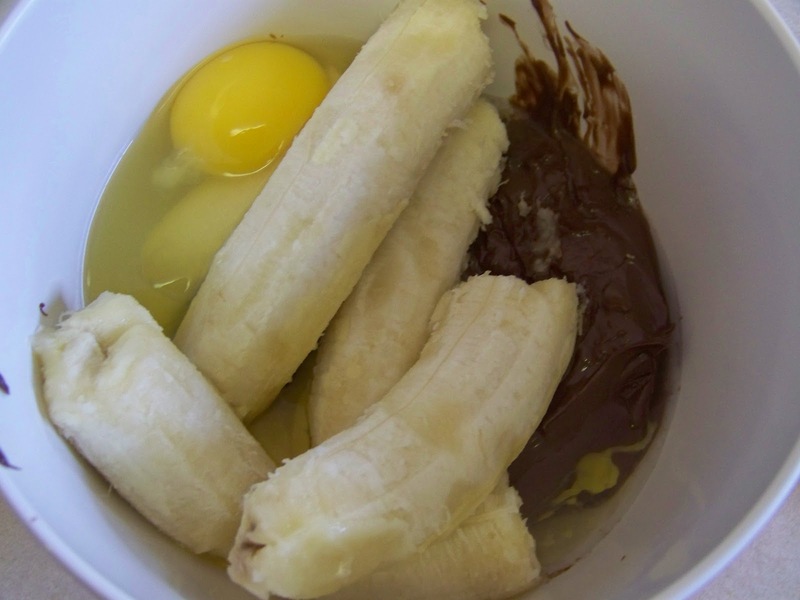 So moist.. and that combination of banana and nutella looks really good! 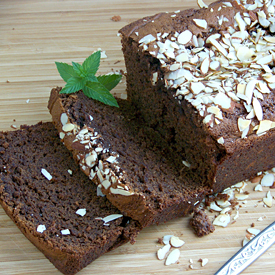 Delicious and moist banana nut bread. I wish we lived next door so I could try a slice right now. This looks amazing! Looks very moist and good. Wow this looks nice and moist. Yummy! You know I have still never eaten nutella, LOL. Have a great day my friend. 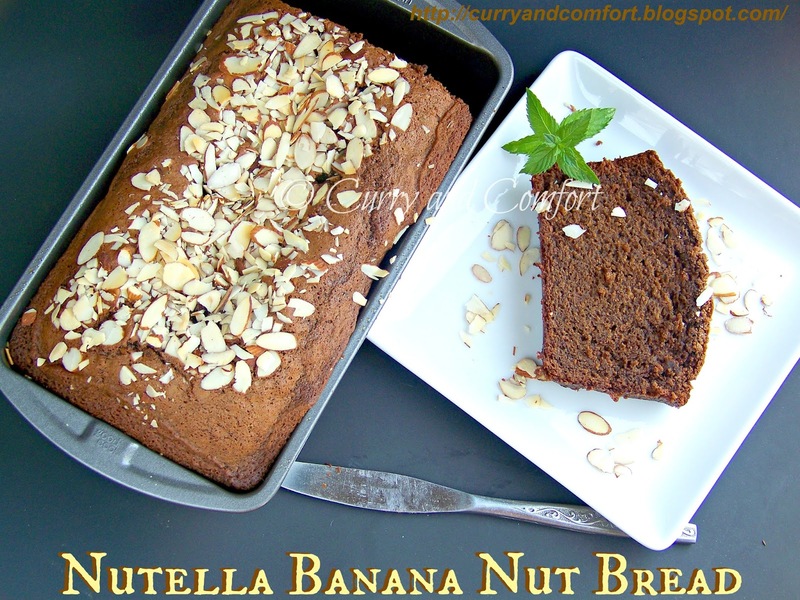 Banana bread is good enough on it's own, but with that Nutella, wow! I am dying for a big slice right now. This was a great recipe. Thank you for sharing! Nutella is divine and bananas my favorite choice of bread. This is heavenly! Love the new series and this bread! Wishing I had a slice right now! I love finding new recipes for my cache of overripe bananas. I am glad you gave this one another look. Toast with Nutella and banana is great. I love that this bread is all in one! Wow - seriously yummy combo, I'm sure! I always have ripe banana at home and love this Nutella banana nut bread! This will be a great breakfast!